This not the usual format, it is a bit of interesting history from WW2 that I found loose inside an official publication. I have translated it & have some of the documents to which it refers. Anyone like to have ago at translating it? is this a naval matter like mine sweeping ? I think this relates to Military System duties under control of the Commander-in-Chief being transfer to Secretary of State. Nope Wally this is Army. MS ............ medical surgical ??? Good bit of research there Richard. Its all part of that general buzz after the Crimea that focussed the attention of seventeen Royal Commissions, eighteen Parliamentary Select Committees and nineteen War Office Committees! Although I will seek to show at the end that something in the letter may be not quite right. Nope although the first bit is correct. Sorry missed you first time. Nope, but good suggestion. M.S. : Military Service duties ? Nope Richard it is a post. I think Richard must have fallen asleep at the keyboard I thought he was about to clinch it. Although he did get 75% of it early on. But looking at QR (VR) 1859 the MS was already under control of C in C! 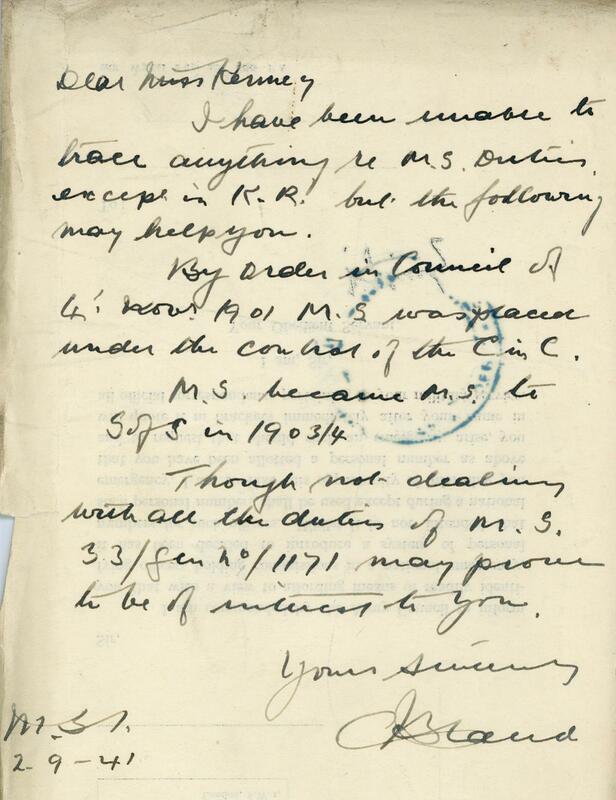 So did MS pass out of C in C control & then back again in 1901? Or did the seventeen Royal Commissions, eighteen Parliamentary Select Committees and nineteen War Office Committees actually forget who controlled the MS? Makes you wonder! Took a bit of head scratching to work it out. Isn't this what led to the formation of the General Staff, based of all things on the Prussian Pattern? 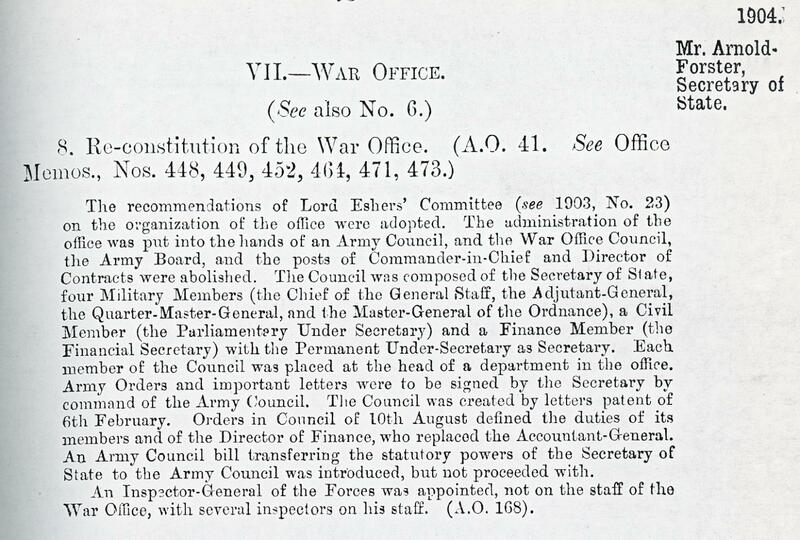 Well I have a War Office publication dated 1807 that refers to General staff.